Around the Blogosqueer is a feature used to highlight other LGBTQIAP lit throughout the internet, and today, we’re focusing on some great sites where you can find the pros in your area of interest! Some of these sites have been asked already to do a little writeup for us on exactly what they do (and if you haven’t, but your siteis here, please consider this an open invite to submit! ), but for now, here’s where you can find some fabulous bloggers and book recs! 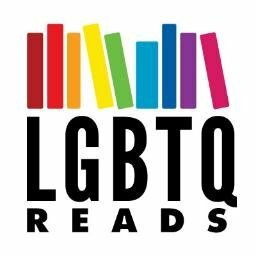 Gay YA – This fab site is dedicated to LGBTQIAP YA and does great theme weeks and bi-monthly book chats under #GayYABookClub! Vee is the Head Enby in Charge (and also runs the @trans_lit Twitter account! ), but there’s a whole great staff (including author Katherine Locke, who generally runs the book club chats) and a wide breadth of knowledge here. You can also find them on Twitter, Tumblr…basically everywhere. LGBT YA -Author Lauren James runs this Tumblr-based review site, and she was actually our very first Around the Blogosqueer interviewee, so more on her and the site here! Lambda Literary – The one and only! Follow along for reviews, awards, fellowships, and more! Queer Sci-Fi – Exactly what it sounds like! Nicely extensive resource, covering more media than just books. Queer SFF – Also what it sounds like! It hasn’t been active in a few months but stands as a good resource for finding solid titles from 2016 and prior. More YA-centric than the above. Queer Comics – All comics, all queer, all the time! Run by Audrey and Taneka, this is an incredible resource for both print and web comics, and you can find them on Twitter, too, at @QueerComics. The Lesbian Review – While m/m review sites are everywhere, it’s delightful to see a site with a pretty big following that does strictly f/f. Run by Sheena, you can find them on Twitter at @LesbianReviews! And finally, though it’s really a single post I’m highlighting, my new favorite amazing resource is Reviews of trans and/or non-binary lit by trans and/or non-binary reviewers on Kink Praxis, which is Corey Alexander/Xan West’s author site. This is such an excellent and necessary service, and my great thanks both to them and to all the reviewers who’ve allowed their reviews to be linked! Got your own favorite resources? Give them a shout in the comments!